Seven Panthers young guns have been selected in the inaugural SANFL Futures Academy. The SANFL has introduced an Under-17 Futures Academy to showcase the state's best talent on IGA League Grand Final day at the Adelaide Oval. South Adelaide juniors Nathan Kreuger, Robert Irra, Bailey Snelling, Nathan Beenham, Sam Lawrie, Henry Bruce and Liam Fitt have been nominated amongst the initial squad of 62, which will play as a curtain-raiser to the SANFL League and Reserves Grand Finals on Sunday September 25 from 9am. 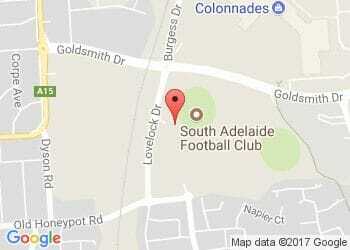 The squad will begin the first of four training sessions on Monday September 12 at Alberton Oval. SANFL High Performance Manager Brenton Phillips said the Futures Academy would provide a platform for the state's best talent to put their best foot forward at an AFL venue. Critically, it will also provide an early insight into selection for next year's McDonald's SA Under-18 team and 2017 AFL National Draft. Meanwhile, the AFL will also be conducting its Under-17 All-Stars match at the MCG on AFL Grand Final day, with South's Nathan Kreuger invited to participate in that match as well.